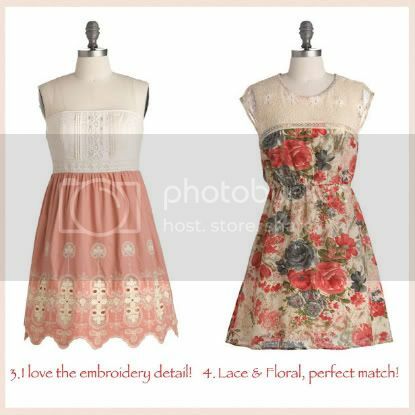 I'm currently loving these Modcloth dresses...they're very feminine, sweet and romantic. I think they're easy to mix and match and most of all, they're so unique! I especially love the attention to detail in each piece. I was checking out the new arrivals on Modcloth and found lots of adorable pieces; I can't help myself, but I always get excited when I check out their dresses and accessories, that's why I wanted to share with you some of my favorite finds! I hope you like them. I also wanted to thank you for the lovely comments on the Lovelies! Your support means the world to me! Thank you from the bottom of my heart! Estoy enamorada de estos vestidos de Modcloth...son tan femeninos, dulces y románticos. Pienso que son muy fáciles de combinar, pero lo que mas me gustan es que lucen únicos! Particularmente me encanta el detalle en cada pieza. Estuve mirando la pagina de Modcloth y no puedo evitar emocionarme cada vez que encuentro algo que me gusta como los vestidos o los accesorios! Por eso escogí algunas de mis piezas favoritas para compartirlas con ustedes, espero que les guste. También quería aprovechar para agradecerles por los lindos comentarios en el concurso de Lovelies! Todo el apoyo recibido significa mucho para mi! Gracias desde el fondo de mi corazón! but also feminine and lovely!I love the bow pattern in dress 1! the waist perfectly. Love it! pienso que acentúa la cintura perfectamente. dress, or something very feminine. too many accessories for this one, the embroidery detail says it all. so delicate and feminine..it can be the main piece in any outfit. El detalle se encuentra con la perfección! no se necesitan muchos accesorios, el detalle del bordado lo dice todo. Puede ser la pieza principal en cualquier outfit. 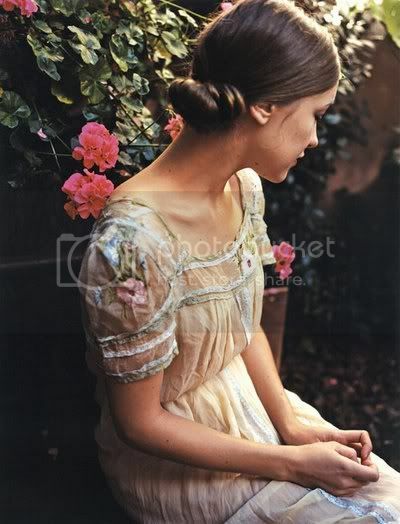 but also in accessories, jewelry, you name it..
that's why I inmediately felt inspired by this photo. los vestidos, como en los accesorios, joyas, etc. Por eso me senti inspirada por esta foto. the embroidered hem. Dress 4 has the perfect floral pattern! adoro especialmente la parte bordada de abajo. El vestido 4 tiene el estampado floral perfecto! I also wanted to say that my thoughts and prayers are with the people in Chile. It's just February, and we have already seen two countries hit by an earthquake. This is very sad. Here's a link with a list of organizations where you can help the victims of the earthquake: Help Chile. Thank you! También quería decir que mis pensamientos y oraciones están con toda la gente en Chile. Estamos en Febrero y ya hemos visto dos países tocados por la tragedia debido a un terremoto. Aquí les dejo un link con una lista de organizaciones donde pueden ayudar a las víctimas de este terremoto: Ayuda a Chile Gracias! Son todos divinos, pero el chaleco de crochet me enamoró completamente!!! oh wow these are divine. Oh, bows, florals and lace! What more could a girl want? Congratulations on winning the second place on best fashion blog of The Lovelies contest! I am glad I found your blog. Those dresses are super cute! I love floral dresses with lace. Whuuuu... Love dress 2 and the crochet vest too! 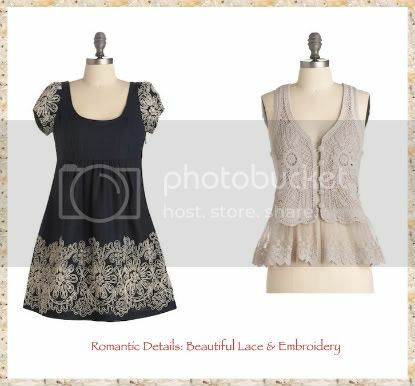 The crochet vest is just soooo romantic!! i've been trying to find a crochet vest i like and that oneis sooo cute. Thanks for your lovely comments girls! They always make my day! Meguie: Cuanto lo siento! :( Cuando ayer visite la pagina todavía lo tenían, pero te recomiendo que estés al tanto por si traen otro igual, o tal vez haya algún otro que te guste también. Besos y suerte linda! I didn't know about Modcloth, I just visited the store and I adore it! Thanks for sharing Giovanna. 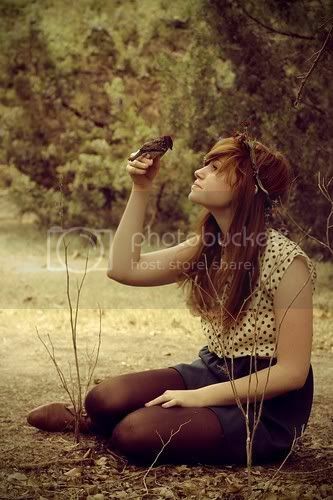 beautiful pictures :) i love it. I adore these dresses! That vest is divine. A mi tb me ncanta modcloth!I las flores! !Besos guapa! I love dress #2! I imagine so many ways to wear it! Ohmygoodness, I LOVE those dresses & tops you've picked!! So romantic and dreamy...love em!! Hey, great post... love the dresses. And thanks, you're such a sweetheart... I'm from Chile, and i'm so blessed that me and my family are ok... thanks for your support babe. Just found you on the Lovelies! I love modcloth too, it's one of my favorite clothing websites, great post! These have to be some of the most beautiful dresses I've seen lately. Thanks for sharing! These dresses really are very very pretty! Thanks for the inspiration and for visiting my blog! The dresses are all adorable and I love how you related them to images! 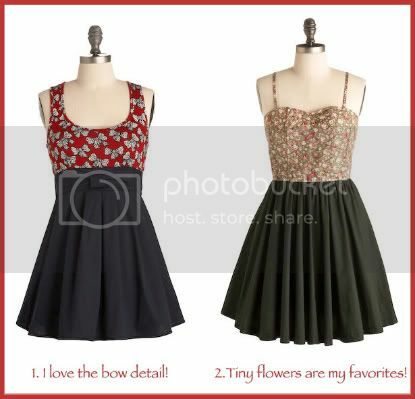 The Modcloth dresses are so pretty. And I love the first picture. It is so beautiful. gorgeous dresses! i'm always so in love with modcloth! i especially love the last two! so feminine & sweet for spring! That ModCloth link is full of fab finds! I really like your inspirational photos. How exquisite! I love your picks. 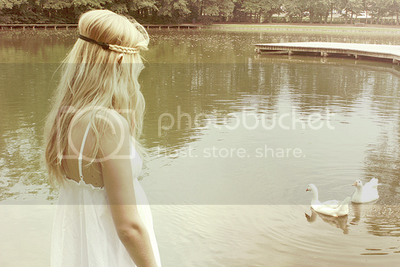 that first photo is so beautiful and enchanting! i love it! Fab week for you dear friend!